Become a Hero against Hunger! Join the adventure – become a hero against UK hunger and help us fight hunger! 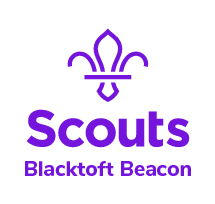 The Scouts are world renowned for successfully engaging young adults in participating in opportunities where they can develop and make a positive mark on the world. As an organisation, FareShare is very aware of the positive difference Scouts can make in their community, creating a positive social change benefiting both the neighbourhood and the individual Scout and forging links between the Scout unit and others in the local community. FareShare is a UK wide charity fighting hunger and food waste. We redistribute good food that would otherwise go to waste to front-line charities and community groups that support vulnerable people. Whilst we receive a reliable supply of fresh produce from the food industry, long life items such as rice and pasta don’t appear so often as surplus and so we partner with Tesco and the Trussell Trust to collect these store cupboard staples at a national event called the Neighbourhood Food Collection. This is where you come in. We are looking to find as many heroes against UK hunger to volunteers and help collect donations from Tesco customers. As the largest youth organisations in the UK, leading the example in terms of community involvement, we would love it if your group could get involved. A little time makes a huge difference, in just three hours a volunteer could collect enough food for 500 meals! It’s a quick and easy way to give back to your local community, with the food you collect ending up on the plates of those who need it the most. Sign up is simple, just enter your postcode and find your nearest participating Tesco store at www.fareshare.org.uk/heroes-against-hunger. Shifts have been split into three hour slots however these are flexible and we are happy for your squadron to give as much or as little time as you are able.